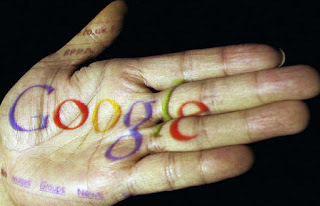 ICT for Rural Inclusion: Google Africa blog launched! Google, the popular search engine, has launched the Official Google Africa Blog to discuss news, stories and thoughts in sub Saharan Africa. The 3 day-old blog, has a Google Africa discussion forum with topics on products, Internet and activities in Africa. To be able to participate in the forum, you have to pick a nickname, write something about who you are and why you are interested in the forum and finally get approved by the owner/administrator. The blog is written in two languages: english and french. In future it would be a great idea to include Swahili which is spoken by over 70 million people in East Africa. For the first time, the Google Gadget competition is open to East African University students. The competition launched in February 2008 and closes on the 14th July 2008. Gadgets are, small, simple applications that run on web pages. There are gadgets for easy email access, to-do lists, football results, and other fun uses. Read more about this competition on the official google gadgets page. Five students will receive a US$350 stipend and the winner of the Best Overall Gadget will receive a US$600 stipend. wireless boot camp, leiden 2006 pics! www.ruralict.com - ICT that Works! Thank you for visiting! Come again soon :-). Simple theme. Powered by Blogger.